The Artist my invitees are talking about!! No, don’t get confused with the title. I am not complaining that someone else being talked about at MY wedding. It is just that more number of guests are RSVPing just because they loved my invite and everyone wanted to know about the artist behind it:) So how could I not feature this amazing person and super-talented artist at my Wedding Series? Yaay! Here is our second post on Screen Free Challenge Why should kids have all the fun? Divya is the famous roommate I keep mentioning in my posts. A techie by profession, an old soul, proud feminist, a movie – buff , avid book reader and the list goes on. Adult coloring has been the new buzz in town. She started doing it recently and has been having a lot of fun. I had been wanting to indulge in the “Broadway experience” for over a year now. With my roommate having raved about shows she saw, I was waiting for the opportunity. I did not have a particular show in mind and ended up buying tickets for the one which was available for the long weekend and that was fairly inexpensive. 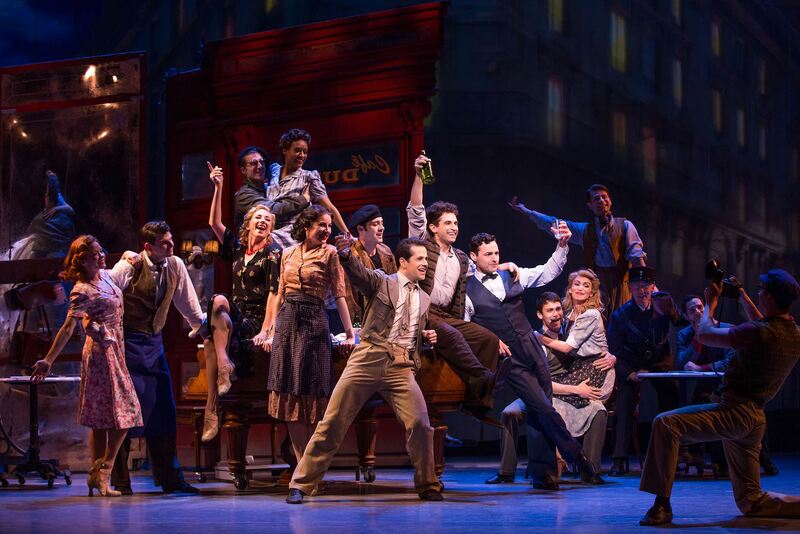 And that was “An American in Paris”. A post on why everyone should try to appreciate live stage performances or experience at-least one time in their life. No spoilers ahead! For those reading from India or particularly Chennai, where I come from (If not you can skip to the next paragraph). 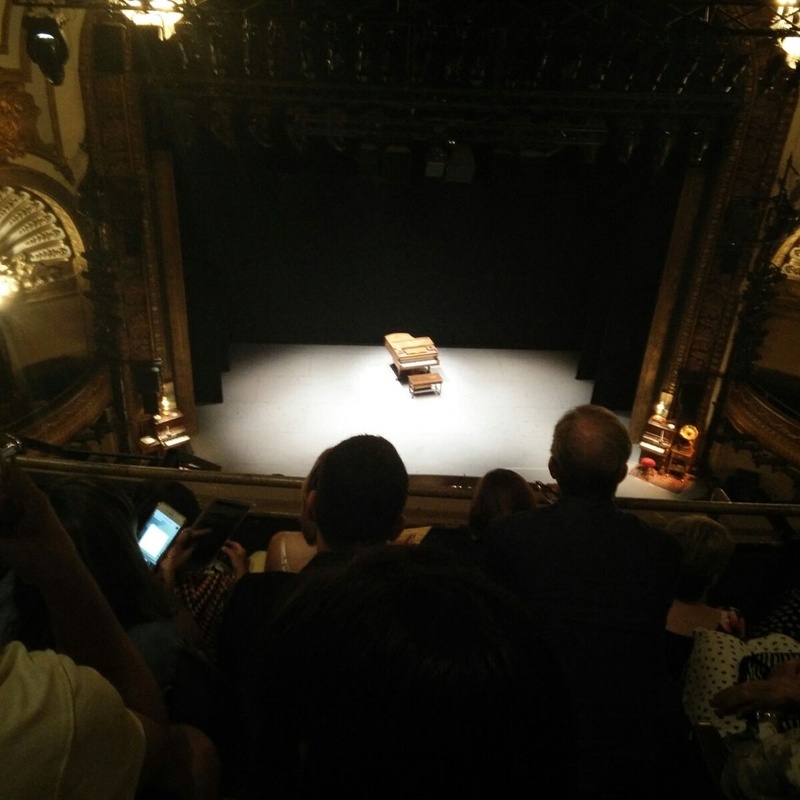 I grew up attending plays and dramas (dragged to by my dad!) of the leading artists such as Cho Ramasamy, S. Ve.Shekar, Y.Gee. Mahendra and Crazy Mohan and many others. They are all amazing stage artists with an amazing sense of humor and content filled with satire. Over the years I began to appreciate everything live, its organic , pure and even any flaws will make me sympathize with them rather than otherwise. Live music, plays, musicals, stand-up comedy – everytime I watched them I would imagine a hundred things that could go wrong from forgetting dialogues, bad make up to even a set falling down on an artist. Every time a team have a great performance, despite its content and quality it is an achievement just to have performed for few hours. Not that I want to compare but film artists perform a few times on-set which is aired a thousand times on-screen while live artists have to act each time and are critiqued much more every single time. One bad performance or flaw and they lose ticket sales. Same with singers or dancers too. The reason why value live performers much much higher than those who sing only in studios or give recorded performances. As I got into my late teenage years I began to appreciate English plays and Mummers in Chennai such as Evam, Madras Players and Unarviyam. Having had the privilege to be friends with the core team of Unarviyam, I got to work in public relations, be a critic , even a back stage professional for a brief period of time which taught me the struggles artists face and all the hard work that goes into it. You don’t just pay for a three hour performance but for months of script writing, hours of practice by actors, sound engineers, set designers, PR and many others. You are watching team work at its best. And finally I got to watch THE BROADWAY!!! The most acclaimed place for live performing arts and my reaction was nothing but exhilaration. I watched it at one of the oldest theatre called Palace Theatre on Bradway ST, NYC. It was built in 1913 The theatre itself was a treat with palace like architecture. So in conclusion, whichever part of the world you are, please appreciate performing arts around you and encourage artists. They do it to pay their bills but more for the art as well. In the end the standing ovation and an appreciative audience is what will make their day. All images were used from the internet! What is your favorite performing art? Or What was the last one you saw? Let me know!